Felipe*, aged eight, is thrilled to have recently discovered that his sister is living in a nearby girl’s home in Guatemala. He is one of 17 boys living in our Rehoboth Boys’ Home and is very excited to have a family member he can visit. He has been talking about her to everyone he knows and has already made a remarkable impact on her life. When Felipe first came to the boy’s home he was suffering from severe malnourishment and stomach problems, and he was unable to communicate, most likely due to the traumatic abuse and lack of stimulation in his early years. Since settling in, he has made great progress and is now speaking frequently and can make himself understood. Discovering he has a sister has boosted Felipe’s self-esteem and self-worth, and although battling communication issues himself, he has been asking his friends to pray for her. His sister is ten years old and sadly does not speak and cannot walk. She had been at the home for some time and made very little progress in her speech or mobility. 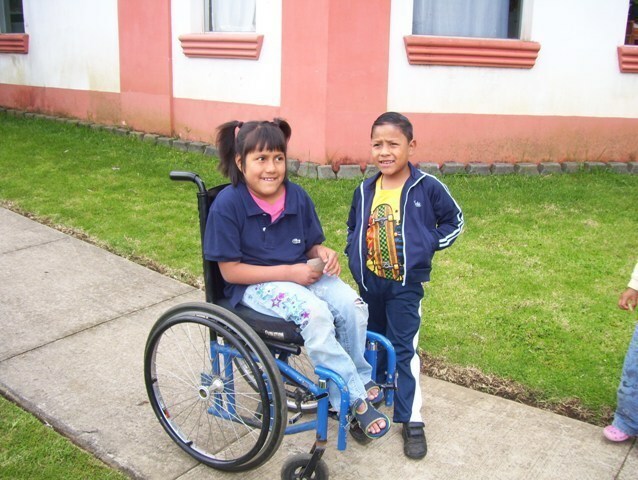 Last weekend we were delighted to hear that since Felipe’s visits, his sister has blossomed and she is now learning to walk with the use of a walker. She is expected to be able to walk independently soon. Felipe was very excited to hear of his sister’s progress and the wonderful news about her has strengthened his faith. Felipe and his sister are now reunited, living happily in their family homes, knowing they have each other close by.